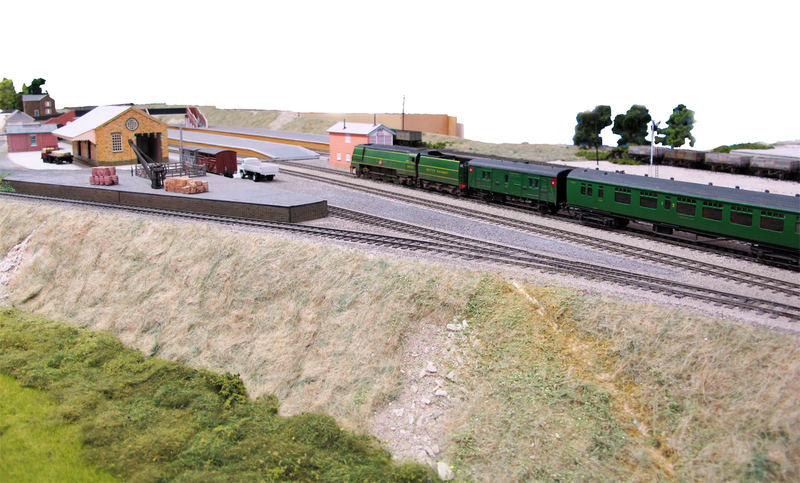 I am pleased to advise that an additional opportunity to see Fisherton Sarum on the road this year has been added to the exhibition calender, at the Worthing Model Railway Club exhibition on 26th/27th September 2015. It is always nice to exhibit deep in the heart of the Southern Railway territory, the show is being held at the Durrington High School, The Boulevard, Worthing, West Sussex, BN13 1L. The show is open to the public between 10am until 5pm on the Saturday and 10am until 4pm on the Sunday. It is also a pleasure to accept an invitation for this show as the Worthing MRC club president, Dave Kent, is a friend and past member of the High Wycombe & District MRS. He will hate me for saying this, as I know he reads this blog, but when I joined the Society at the tender age of 15, *cough* years ago, he took me under his wing so to speak, working on the scenery for the Societies then large 00 layout ‘Hillingdon Court’. Dave is an exceptional modeller and some of you may well have previously seen is excellent SR third rail layout Ashington (which featured in the November 2007 issue of Hornby Magazine). I hope you can add this exhibition into your diaries and I look forward to seeing you there. A am very fortunate through this hobby of ours to have met and made a good number of like minded friends. many of whom I would consider as being ranked as being talented and exquisite modellers that can achieve things far in excess of my humble efforts. 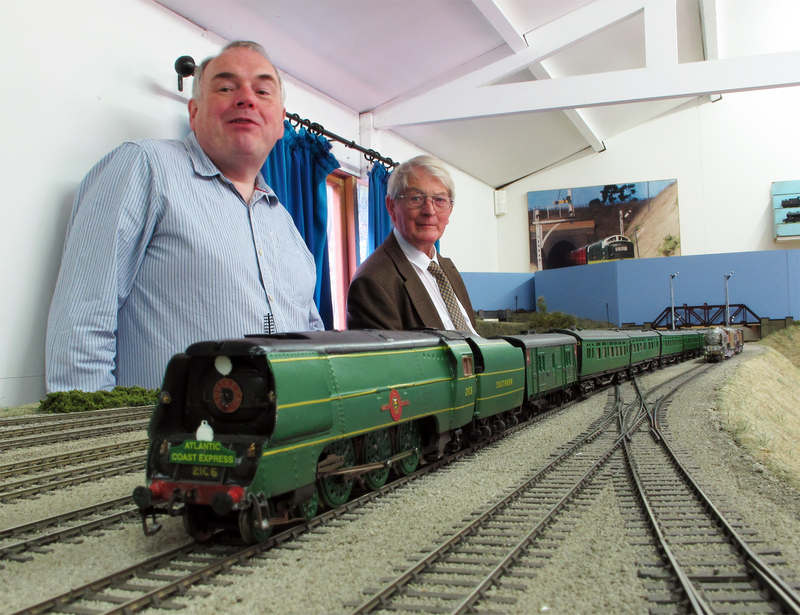 Yesterday I was fortunate and privileged, to have been able to arrange for a small gang of fellow members of the High Wycombe and District MRS, to visit and play trains on Little Bytham the layout , of one such friend , the well known, talented and respected Tony Wright. Little Bytham is in fact being built as a collaborative effort via horse trading with other talented modellers whom have carried work in return for Tony’s talents in the building of locomotives etc. 35023 sweeps into Little Bytham station. At this stage a lot of the buildings are just mock ups. Tony, who actually lives in Little Bytham, is modelling the East Coast Mainline Station and surrounds as it was in the mid 1950’s before both the station itself and the Midland and Great Northern that crossed the ECML at Little Bytham closed. The four track mainline through the station and its interesting track plan from an operation perspective is a perfect recreation of that period,and that, along with his superb stock completes the scene perfectly. 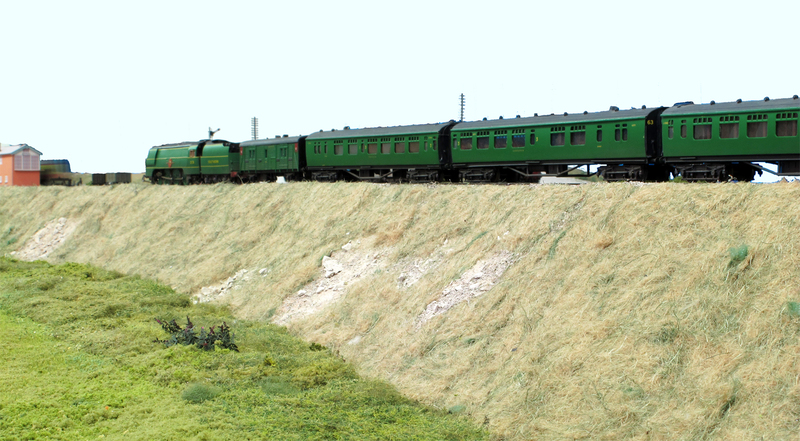 In addition to being operate his layout for the day, we were also able to run some summer excursion specials from our own collection, so I took great delight in adding a splash of malachite to the East Coast Mainline. Firstly a few pictures in the shape a couple of my original Merchant Navy Pacifics 21C6 and 35023 ahead of a rake of Phoenix (ex BSL) Bulleid coaching stock, seen running alone the embankment and through the station as some of my fellow High Wycombe and District MRS members look on. It is pretty certain that the Bulleid Leader never reached the ECML but I couldn’t resist. Also my Drummond T14 ran through Little Bytham with the SR Cinema coach no. 1308s and Bulleid ‘Inspection saloon’ no. 100s, both paired with their respective generator vans. The Bulleid Leader waits for the road as a Pullman races past. All in all it was an excellent, fun and enjoyable day just as the hobby should be. It was a real tonic of a day being full of laughter, enjoyment and great company. T14 on the Cinema Coach and ‘inspection saloon’ rake. I must express my own personal sincere thanks, and those of all of us at the high Wycombe and District MRS to Tony for allowing us and trusting us to play on his train set! ps. also thanks to Tony for taking and providing me with the last two photographs, that remain his copyright. I make no apologies for repeating myself a little but as I am long time member, and indeed past Chairman and now Press Officer, of the the High Wycombe and District Model Railway Society it would be wrong of me not to promote this year’s WYCRAIL ’13 exhibition that takes place this coming Saturday, November 2nd. WYCRAIL ‘13 will have 31 (yes 31, it has increased since earlier posts!) 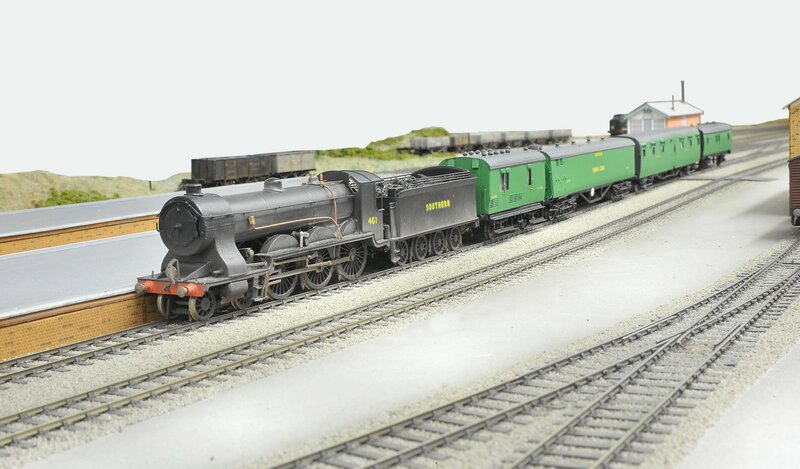 high quality and inspirational model railway layouts, of both British, North American and Continental outline and in a wide range of scales and gauges including Z, N, 3mm, 00, H0, EM, P4, 0 and narrow gauges. Full trade support will be present ranging from tools, kits, electronic components to R-T-R models and books. Hornby Hobbies will once again be a welcome presence at the show. The venue is conveniently close to the M40 Junction 4 and the free vintage bus service will once again be operated between Wycombe Railway Station (Chiltern Line), Wycombe Town Centre and the and the nearby free Cressex (Cinema) Park and Ride to the Cressex Community School. 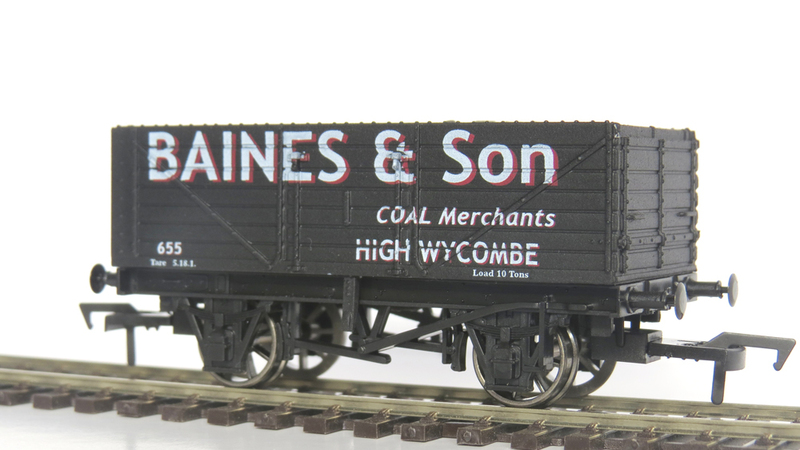 Following on from my last post here about the limited edition High Wycombe based PO wagon “Baines & Sons”, I can now show the picture of the actual being sold at the show on both the Societies Stand and also from the West Wales Wagon Wagon Works stand. There is a weathered version also available but are only limited supplies so to get in quick if you want that particular version. I look forward to seeing some of you there, please come and find me and say hello. 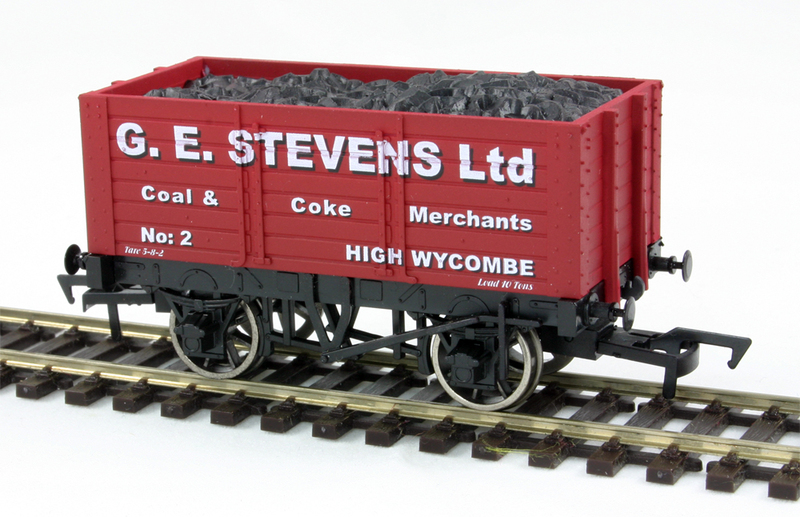 High Wycombe and District Model Railway Society have commissioned a 7 plank Private Owner coal wagon from West Wales Wagon Wagon Works in the livery of local coal and coke merchant W. V. Baines & Son Ltd.
Based at 20 Frogmore, High Wycombe, Buckinghamshire, W. V. Baines & Son Ltd was one of the largest transport company with a branch dedicated to fuel supplies in the area. Their coal office was situated in Prior Road opposite the old fire station (now part of Primart’s shop). The company no longer exists and no photographic records have been found but we know from records of wagon ownership held by Longmoor publishers that Baines had one or more private owner wagons. The model utilises the latest Dapol 9 foot wheelbase under frame and 7 plank body and is priced at £14.50. it will be available for purchase from either the Societies stand or from West Wales Wagon Wagon Works at the WYCRAIL exhibition on Saturday 2nd November. 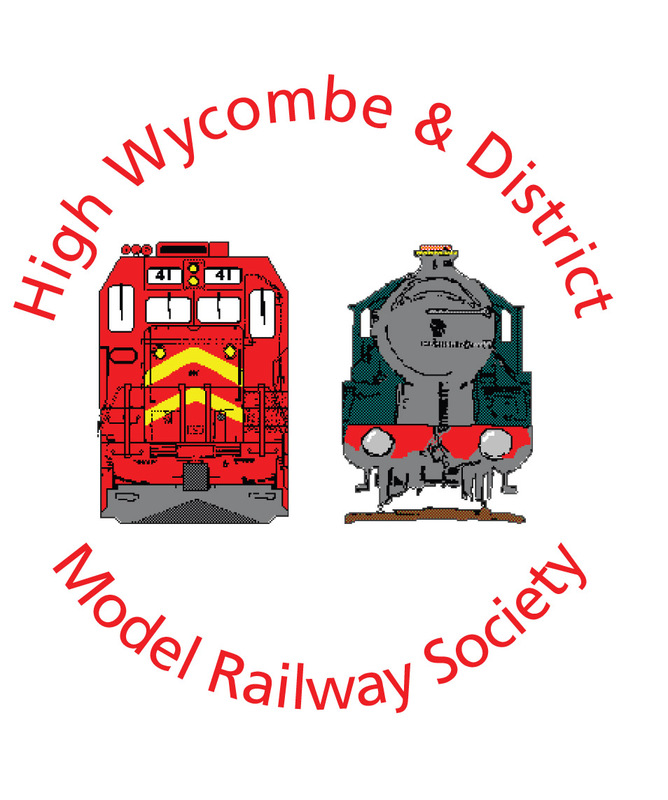 This year’s WYCRAIL ’13 exhibition on Saturday November 2nd, will once again, following last years successful move to the bigger, better and brighter venue of The Cressex Community School, Holmers Lane, High Wycombe, Bucks HP12 4UD on Saturday November 2nd. 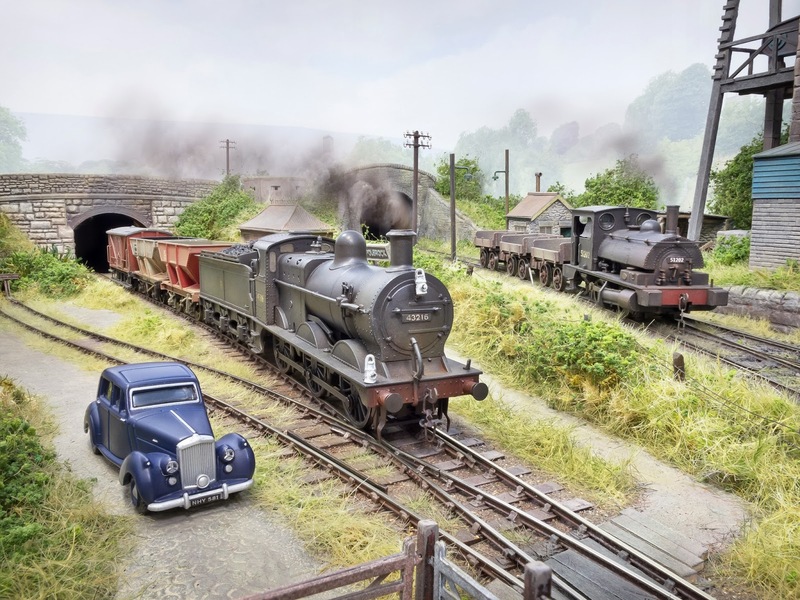 WYCRAIL ‘13 will have 27 high quality and inspirational model railway layouts, of both British, North American and Continental outline and in a wide range of scales and gauges including Z, N, 3mm, 00, H0, EM, P4, 0 and narrow gauges. Full trade support will be present ranging from tools, kits, electronic components to R-T-R models and books. 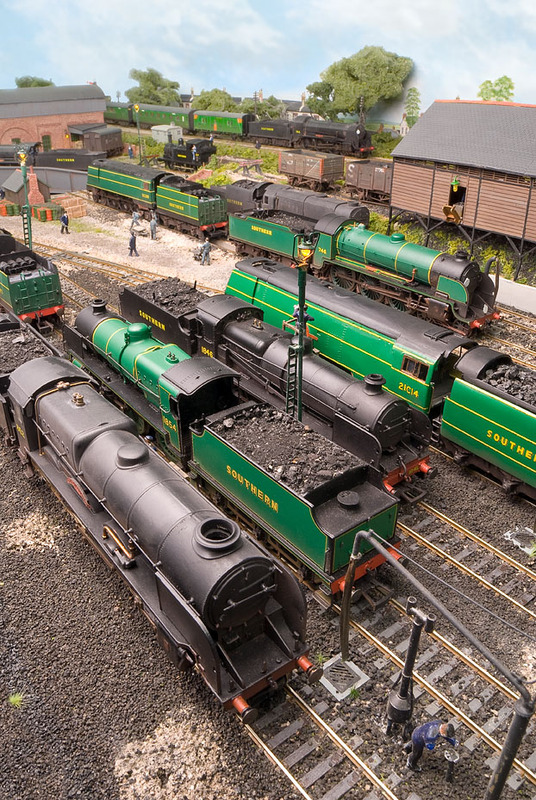 The famous manufacture Hornby Hobbies will once again be a welcome presence at the show.